Sometimes the most impromptu decisions turn out to be the good ones!! Tired of the failing plans of my RELIABLE friends at office, Thursday night I returned home and asked my folks to pack their bags as we were going to Matheran the next day. The last time I had visited Matheran was with friends from my previous workplace. The trip was a very memorable one, more in terms of the masti we did than the sight seeing, but revisiting the same places this time, brought back all the memories and the pieces fell in place. Reaching Neral was the easy part. As we stood in line for the toy train, came the shocker!! "10:30 ka sirf 2 ticket bacha hai, aur 11:40 ka tickets to ye 6 logon me hi khatam ho jaayega. 12:50 ka tickets milega aapko". Which meant, landing in Neral at 9:30, we would need to stand in line till 12:15 to get the tickets and catch the train at 12:50 - way to go man!! phew!! 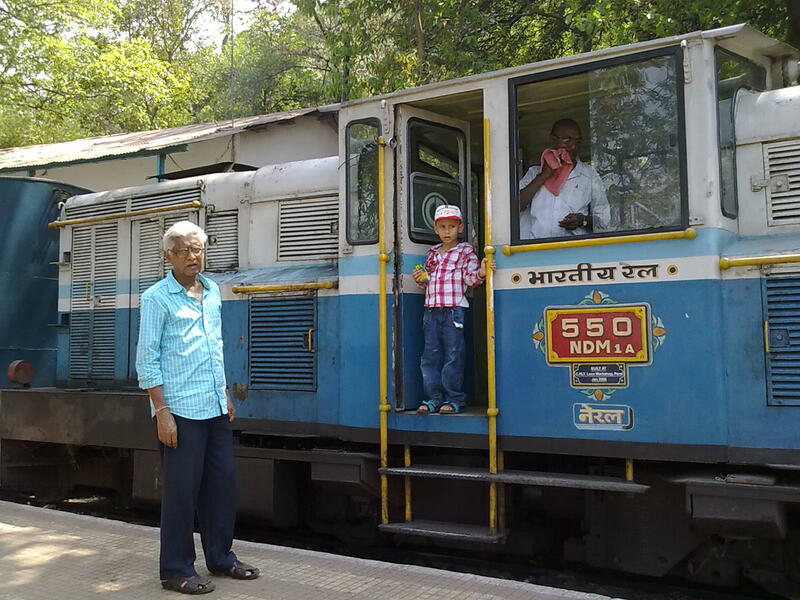 We had the option to catch a cab and rush to Matheran, but with a kid, my nephew in the kitty, refused to turn down the huffing and puffing train. The toy train is one of the best parts of going to Matheran, so if possible, try not to miss it. We reached Matheran in another 2 hours enjoying every bit of the train ride on the curvy tracks up the mountain. The scenery needless to say, was beautiful all the way. The valley below grew deeper and deeper as the train geared upway. Two halts at tiny stations called 'JUMA PATTI' and "WATER PIPE' brought the localites around selling jambhuls, lime water, cold drinks, bhel etc. The scene was straight from a faraway tale of an Enid Blyton book. As we reached Matheran and tried to get out of the station, we were made to pay 25 bucks each for getting out of the station - Local Tax they say...arre idhar tak aaya to station dekhne thodi aaya...ghoomne aaya...so like all good citizens, we paid. Cecil point needs a special mention here as it gives a very beautiful view of the the surrounding mountains, one casting a shadow on the other and relishing views of the valley below. One can spend some time with kids on the Charlotte lake or spend some romantic moments on its banks if it isn't too crowded. Didn't find the Lords' point to be that great. The Echo point is better - we reached their during sunset, watching the cliffs getting darker. Our shouts weren't answered though by the invisible sound duplicater...none of our (all present at the echo point) shouts echoed...where's the Matheran complaint register?? Spent the evening at the mall road/market and bought a cap, sword (khilona yaar) and a cane bag. Had dinner and pushed back to the hotel, did some jhoola jhooling in the yard and pushed off to a peaceful sleep. Next day, got up early as decided and left the hotel at 6:30. Missed the sunrise but spent a great time walking through the jungle and breathing the fresh air. Its a real pleasure to walk through these calm and serene jungles with a cool breeze brushing across, listening to the rustling of the leaves, calling of the birds, and the only other sound you hear are your footsteps....beautiful. 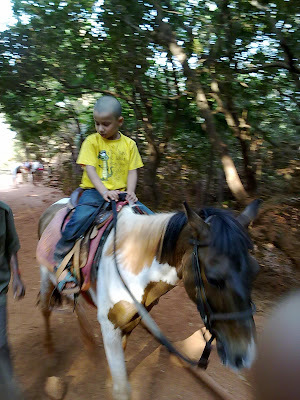 We visited Khandala point, Alexander point and were off to see the Cecil point yet again. One should not miss walking to the Alexander point, its really nice and if you have more time to spend, venture further to the Chowk point and maybe even further to the One tree hill point if your legs or the horses legs (read money in your pocket) allow you. Checked out from the hotel at 9:30 am, had some breakfast and walked back to the station. The same story was about to repeat...we would only manage to get the train at 4:30 pm, so we decided instead to walk till Dasturi via the tracks (30-40 mins) and then catch a taxi to Neral, missing the toy train ride this time. As I stepped into my home, I realised that for 2 whole days, I had not had a single thought about my work, office and all the little unwanted thoughts you burden yourself with all the time...maybe thats the magic of a getaway....reminds me of a Bryan Adams song...here's a part of it....C ya!!!! Plan early and book early for the toy train and see that your travel to Neral and the toy train timing to Matheran fall in sync. Book your accomodation in advance if possible. However, you won't find all the available accomodations on websites, only the costly ones are listed. If you are looking out for cheaper accomodation, try the ones near the station which are offered by the localites...though it would be a bit far from the market and other points. Walk...enjoy the pleasures of nature with your own legs. Ride a horse....this is one of the places where you'll really enjoy it. 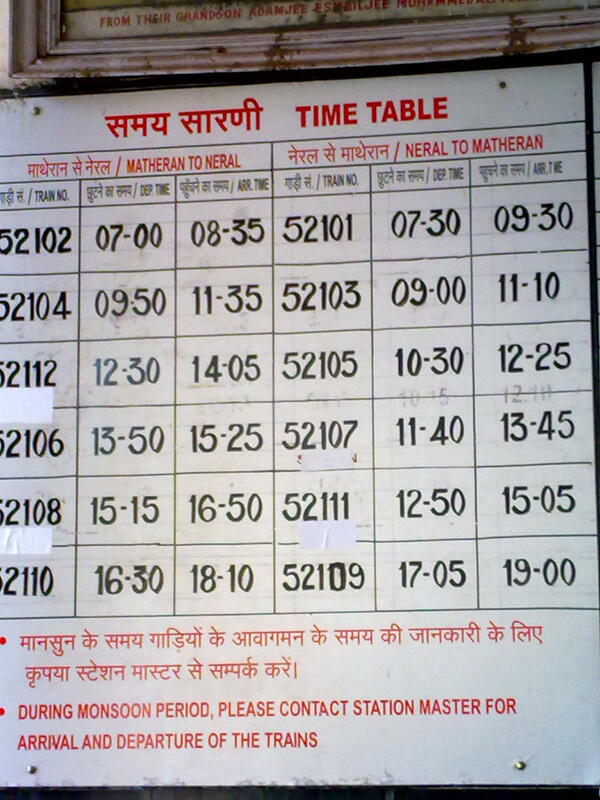 Hi if u r reading my comments - on sunday 15th april 2012 neral matheran toy trian will complete 105 years. Matheran is the lovely hill station in maharashtra.It is too precious. 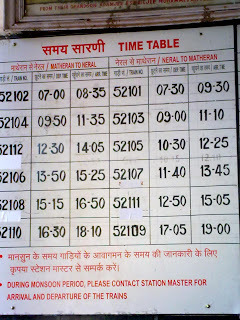 Mostly go to Matheran,always prefered the Matheran Toy Train . Good written. 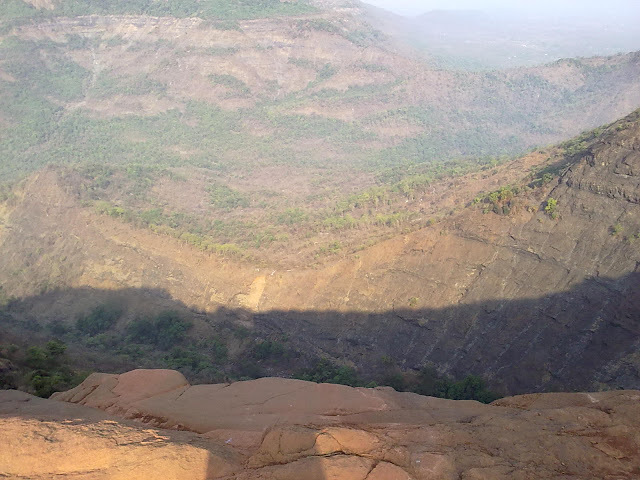 Matheran is perfect destination for spending your weekends. Eco-friendly nature refreshes our mind so it is best place for getting relaxed. There are many 5 star hotels in matheran available for accommodation.